Olive Senior is the prizewinning author of 13 books of fiction, poetry and non-fiction. She won the Commonwealth Writers Prize (for Summer Lightning) and was shortlisted for the Governor General’s Award for Poetry (Over the Roofs of the World). Her other poetry books are Talking of Trees, Gardening in the Tropics and Shell. Her novel Dancing Lessons was shortlisted for the Commonwealth Book Prize, the Amazon.ca First Novel Award, was a Globe Best Book and was long listed for the IMPAC Dublin International Prize. Her children’s picture books are Birthday Suit and Anna Carries Water. 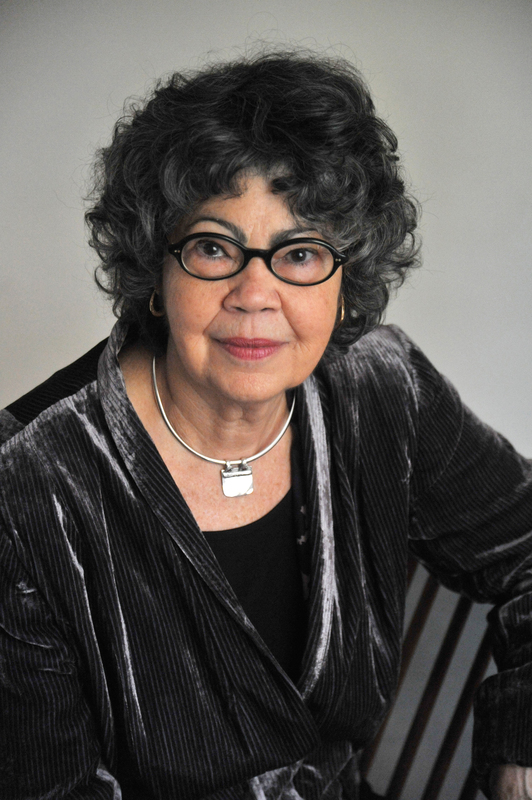 Olive Senior conducts writing workshops internationally and is on the faculty of the Humber School for Writers, Toronto. left empty and bare-faced and blasted. For the fleecy clouds continued to scud across the marvellous, star-studded sky, the little waves gambolled like Biblical lambs. And I was left with the land that I felt was still mine. At least as long as the wine and the full moon lasted. trees, she’s under the ground for this season. her splendour in spring, the cost of this beauty? extravagant keening endangered the world? through trees, brings new verdance to the bower. of death to ignite springtime in the world. that treat: the fruit from the orchard of Death. pushed to the edge by a wedge of her schoolmates. This is a crowd shot, a loud shot of laughter and hate. that attracts the killer bees?